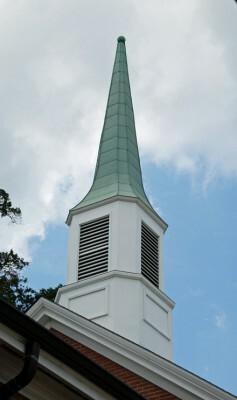 In October 2009, Lewinsville Presbyterian Church officially launched The 1846 Covenant Society, a legacy organization created by the Foundation to recognize members and friends of the congregation who have included the church in their estate planning. Our purpose is to build a spiritual legacy that will strengthen and extend the mission and ministry of the church for the benefit of future generations. Members of the Society embody the belief that thoughtful planning today will ensure the faithful gathered at Lewinsville will always have the resources to meet the needs of the Lewinsville Church family – and those of communities throughout the world. The 1846 Covenant Society recognizes those faithful stewards for whom stewardship has become a way of life, and who are now demonstrating their way of life commitment through gifts and bequests to the Endowment Fund of Lewinsville Presbyterian Church Foundation. 1846 is the year of Lewinsville’s founding near the intersection of two narrow rural roads that later became Great Falls Street and Chain Bridge Road. Land for a “church and church yard” was donated to the community in 1846 by Martha Turberville Ball and CDRE Thomas ap Catesby Jones, heirs of the Turberville family that owned the land for more than 100 years. The founding year is included in the Society’s name to remind us of our connection with the saints who came before us in this place, and of our certain obligation to generations that follow. Covenant, of course, is a word steeped in Presbyterian tradition. Throughout the Bible, we learn of God’s unceasing commitment to reaching out to humanity to establish a “covenant” relationship. The sacraments of Baptism and the Lord’s Supper are the clearest evidence of his “covenant of grace.” By including the word “covenant” in our name, we affirm our connection to God, and we reaffirm our commitment to the mission and ministry of Lewinsville Church. Copyright © 2019 Lewinsville Presbyterian Church.